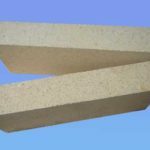 We know that silica refractory bricks are a kind of quality kiln refractory materials for resisting high temperature and chemical erosion with high strength and other excellent properties. 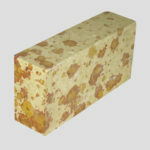 But do you know how to make silica fire brick? Here I will introduce you about some types and features of silica raw materials. Silica is the main siliceous refractory raw mineral material. Silica is not a mineral but an industrial term. 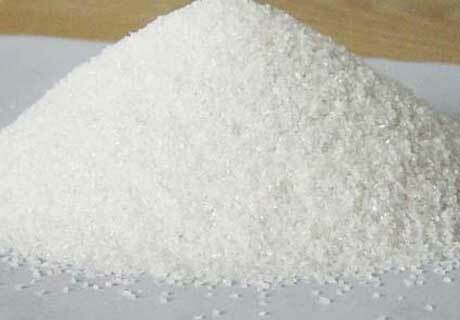 In the field of industry, silica is a kind of bulk silica raw material. Its main mineral composition is quartz and main chemical component is SiO2. There three types for classification of silica such as based on structure density, crystal type transform speed and thermal expansive degree. 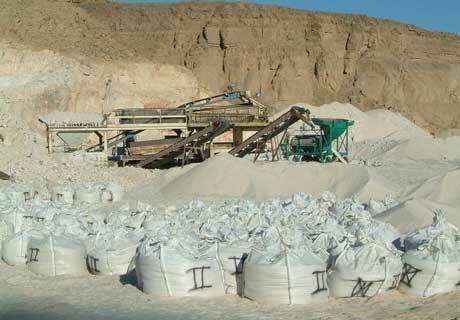 Silica can be divided into crystal silica, cemented quartzite and silica sand according to technology. Silica includes vein quartz and quartzite, quartz sandstone, silexite and quartz sand according to rocks. In the above classification, quartzite is most widely distributed in China, such as He’nan and Liaoning. Quartzite is greyish white or french grey color. It contains more than 98% SiO2 content. Quartz is its main mineral composition. Crystalline grain generally is about 0.15 ~ 0.25 mm. But often there are clay, mica, chlorite, feldspar, rutile, hematite and limonite contained. Its crystal structure transformation is slow. It can be used to make all kinds of silica. Vein quartz is mainly produced from Jiang peak Jilin. It shows milk white color and contains more than 99% SiC2 content. Its main mineral quartz grain is large (generally more than 2 mm) and pure material in quality. Some contain red or tawny incrustation. The crystal type transform of SiO2 is slow. The expansibility is large. It is easy to be loose. 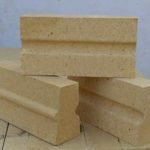 Thus it is easy to appear crack, breaking, high apparent porosity and low strength when making bricks without advanced technology. But the products have good resistance to slag erosion. Quartz sandstone has a wide distribution in China, such as there are better quality and large scale quartz sandstone mineral deposit in Qinhuangdao Hebei, TongLiang Szechwan, Xiangtan Hunan and Hedian Hubei. Quartz sandstone appearance is light yellow and pink, which generally contains 95% SIO2 content and is mixed with certain impurities. For main crystal quartz, its coarse grain is about 1-0.5 mm and fine grained is 0.25 ~ 0.1 mm. As the impurities of quartz sandstone include AL2O3, Fe2O3 ` MgO style ` Cao ` Na2O + K2O, It has the bad density degree, low intensity, small quartz granule, quick speed for crystal transfer of oxidation silicon in firing, and is easy to be loose after burning, which is used to make common Silica fire brick. Silexite is produced chiefly in Mount Wutai Shanxi in our country and contains 95% SiO2 content as its main component. 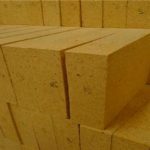 Better know about the types and features of silica raw materials that can lead you to do a better choice and use on silica refractory bricks for furnace and kiln. 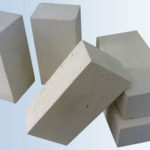 Rongsheng Factory is a professional refractory bricks and materials manufacturer that can provide you all kinds of cheap and quality silica bricks, high alumina bricks, fire clay bricks, carbon bricks and so on.